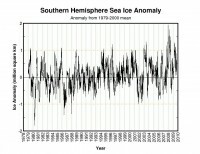 Once again today we were told in the media that the antarctic ice is melting at an increasing and alarming rate. The story appeared in many papers including the Washington Post and the UK Globe Mail today based on a research project, led by Eric Rignot, principal scientist for the Radar Science and Engineering Section at NASA’s Jet Propulsion Laboratory in Pasadena, California, and appearing in the current issue of Nature Geoscience. In an e-mail, Dr. Rignot attributed the shrinkage in the ice sheet to an upwelling of warm waters along the Antarctic coast, which is causing some glaciers to flow more rapidly into the ocean. He suspects the trend is due to global warming. 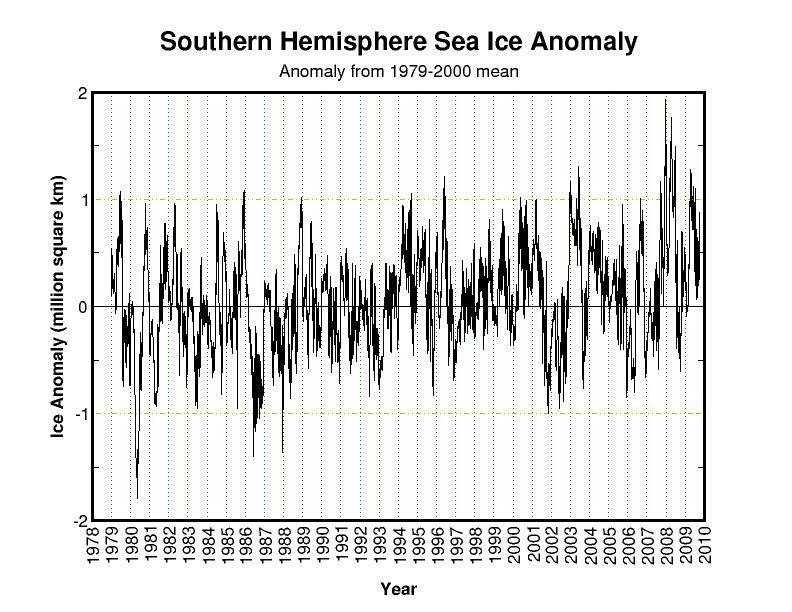 This seemed odd coming shortly after reports that the Southern Hemisphere (Antarctica) set a record for the MAXIMUM extent of ice since satellite monitoring began in 1979 this year. 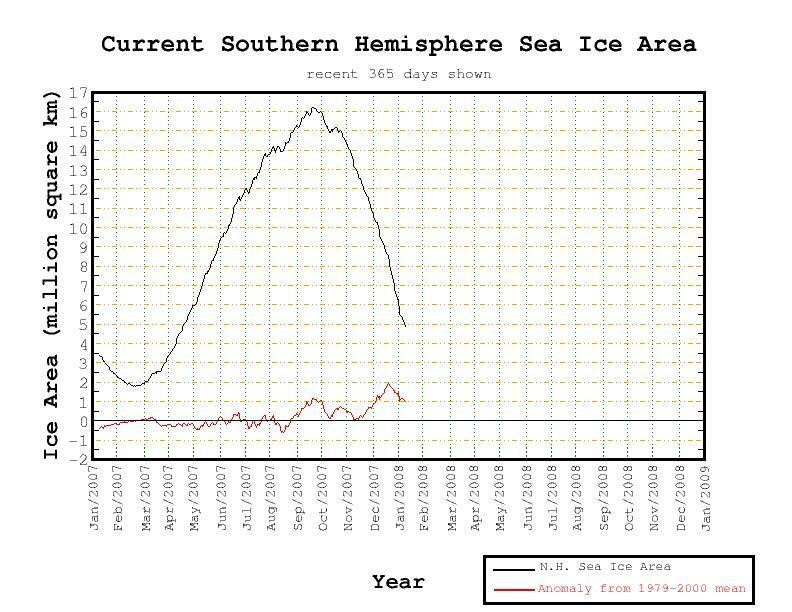 We thought we would take a look at the latest NSIDC graphs for southern hemispheric ice extent. I will remind you it is mid-summer in the Southern Hemisphere. 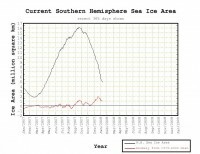 Ice extent remains well (one million square kilometers) above the 28 year average and an impressive 3 million square kilometers above last year at this time!. There is clearly a lot of year to year variability in the record but the demise of the Antartic icecap seems to be anything but imminent. Most of the warming and melt in recent years has been in the vicinity of the Antarctic Peninsula, a small portion of the Antarctic which reaches above the Antarctic Circle and is a choke-point for the circumpolar ocean currents, and is more susceptible to variations. There’s also an active subsea volcano in the area, perhaps leading to the warm water upwelling in the study.